We have a packed eNewsletter this month! 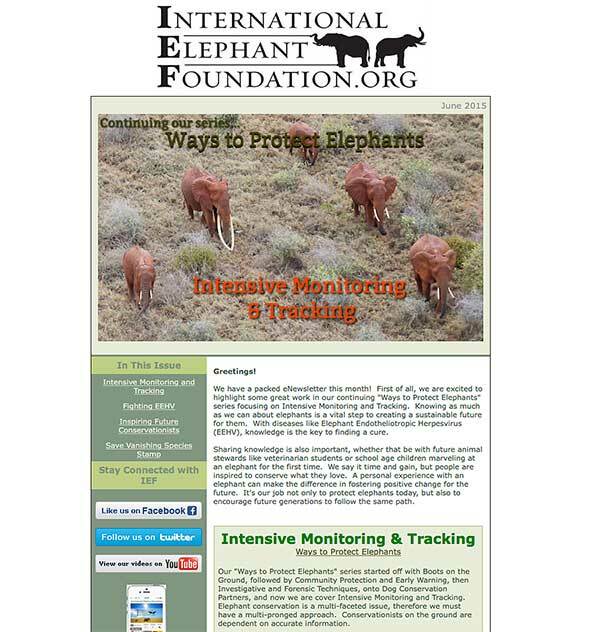 First of all, we are excited to highlight some great work in our continuing “Ways to Protect Elephants” series focusing on Intensive Monitoring and Tracking. Knowing as much as we can about elephants is a vital step to creating a sustainable future for them. With diseases like Elephant Endotheliotropic Herpesvirus (EEHV), knowledge is the key to finding a cure. Sharing knowledge is also important, whether that be with future animal stewards like veterinarian students or school age children marveling at an elephant for the first time. We say it time and again, but people are inspired to conserve what they love. 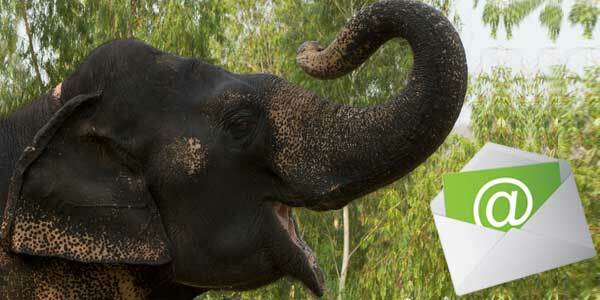 A personal experience with an elephant can make the difference in fostering positive change for the future. It’s our job not only to protect elephants today, but also to encourage future generations to follow the same path. To get the newsletter delivered to your email box, sign up here!